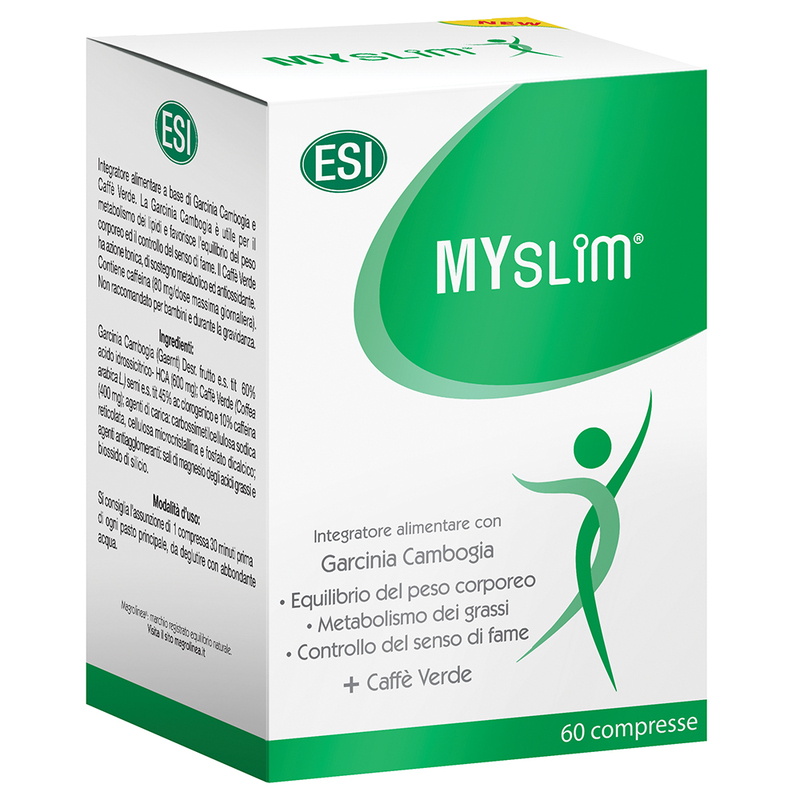 Food supplement of Garcinia Cambogia and Green Coffee. Garcinia Cambogia is useful for lipid metabolism and promotes the balance of body weight and the control of the sense of hunger. Green Coffee has tonic action, supports metabolism and is an antioxidant. 1 tablet 30 minutes before each main meal, to be swallowed with plenty of water. Warnings: Keep out of reach of children under three years. Do not exceed the recommended daily dose. Supplements are not substitutes for a varied and balanced diet and a healthy lifestyle. The product is to be used as part of a proper low-calorie diet, following a healthy way of life with a good level of physical activity. If the diet is followed for long periods of time, longer than three weeks, you should seek medical advice. Not recommended for children or pregnant women.